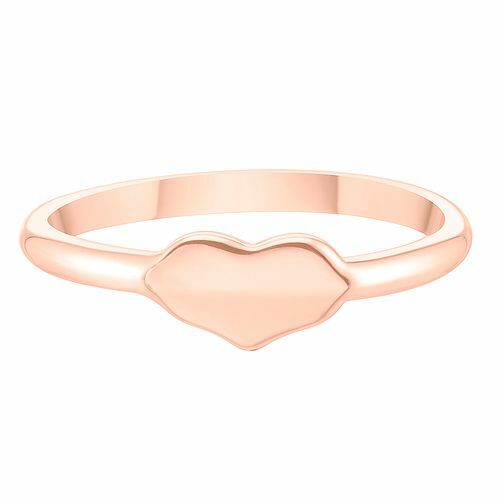 Add to your style with this 9 carat rose gold plain heart shape ring. This beautiful ring is the perfect accessory to compliment any outfit or to add to a stacking ring style. 9ct Rose Gold Plain Heart Shape Signet Ring is rated 5.0 out of 5 by 1.